Metroplex Veterans Legal Services is conducting a Veteran's Combat Related Special Compensation Clinic at Sidley Austin LLP on Nov. 16 at 1 p.m. 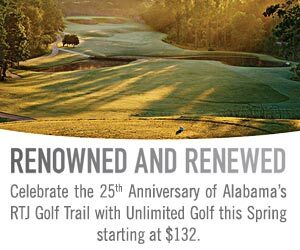 This clinic is a partnership with the law firm of Sidley Austin LLP, and JP Morgan Chase & Co. The Combat Related Special Compensation Clinic clinic is for retired, disabled veterans. The veterans must be receiving or have received military retirement pay, either from a military disability or after 20 or more years of service. CRSC provides tax-free monthly payments to eligible retired Veterans with combat-related injuries. CRSC allows eligible retirees to concurrently receive an amount equal to or less than their length of service retirement pay and their VA disability compensation, if the injury is combat-related. The clinic will be held at the law firm of Sidley Austin, LLP, at 2021 McKinney Avenue, Suite 2000, Dallas, Texas, 75201. Veterans must register online in advance of the clinic at metroplex.veteranslegalservices.us. 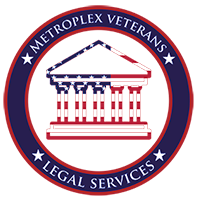 Metroplex Veterans Legal Services offers single issue legal clinics to veterans on a pro bono basis. CRSC legal clinics focus on removing the legal barriers to employment for veterans, and assisting disabled veterans to obtain military disability benefits. The goal of the clinic is to provide free legal counsel and advice to low income, unemployed, homeless, disabled, elderly, or at risk for homelessness veterans for outstanding traffic tickets, warrants from tickets, and driver's license issues caused by tickets; child support modification; expunction of criminal arrests; and combat related special compensation. These unpaid traffic tickets, and delinquent child support can lead to suspended driver's licenses, which can lead to barriers for these veterans to obtain employment. Pro bono legal resources for veterans have been very scarce prior to the commencement of our program. According to a recent Department of Veterans Affairs survey, legal issues account for four of the top ten unmet needs of homeless veterans. Those needs are: legal counsel for the issues of foreclosure/eviction, child support, and restoring drivers’ licenses and legal assistance for warrants and fines, the last three of which are addressed by CRSC clinics. This clinic is open to all retired veterans in Texas.